Among the numerous ethnicities subject to rough treatment in Iran are Ahwazi Arabs, a minority concentrated in oil-rich Khuzestan, right on the border with southern Iraq. It was one of the bloodiest theaters of the Iran-Iraq War in the 1980’s. 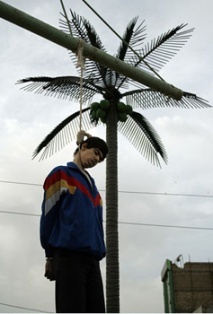 On this date in 2006, two young Ahwazi Arabs were publicly hanged in Ahvaz (Ahwaz) for their alleged participation in a separatist bombing campaign there in 2005-2006. Heady days for the dirty war unleashed by America’s Iraq invasion. Iranian officials slated the “treacherous and criminal Britain” (occupying the adjacent region of Iraq) for backing the Ahvaz bombings. Confessions to that effect extracted from today’s two principals were broadcast the evening before their execution. Afrawi and Nawaseri, meanwhile, were only the tip of the iceberg for a spree of evidently political trials against Ahwazis that year. The wider Ahwazi population continues to face a troubling human rights situation (pdf), seemingly subject to ethnic cleansing meant to scotch any potential for Ahwazi nationalist sentiment and keep oil wealth in the hands of Tehran.